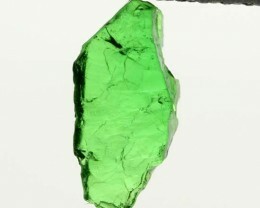 This is a nautral untreated specimen of a Tsavorite from tanzania. 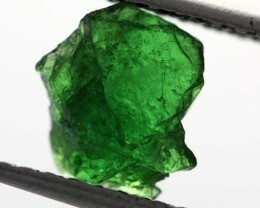 Tsavorite or tsavolite is a variety of the garnet group species grossular. 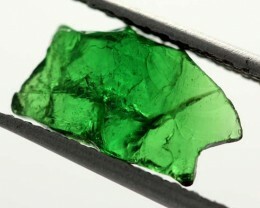 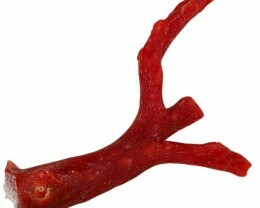 Trace amounts of vanadium or chromium provide the green color. 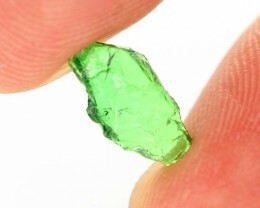 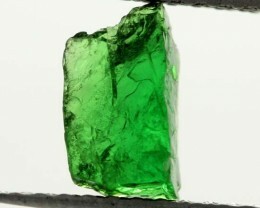 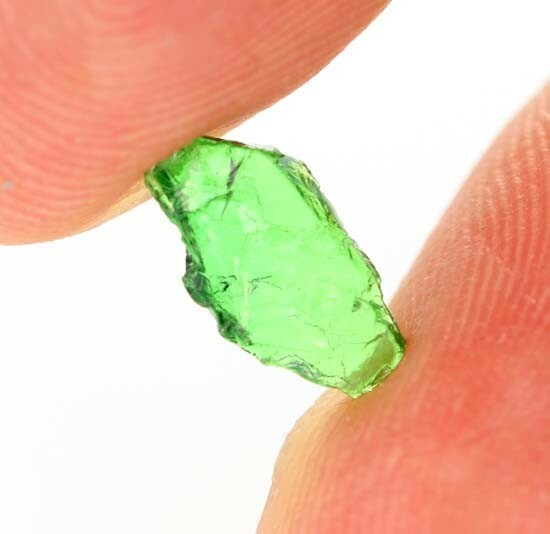 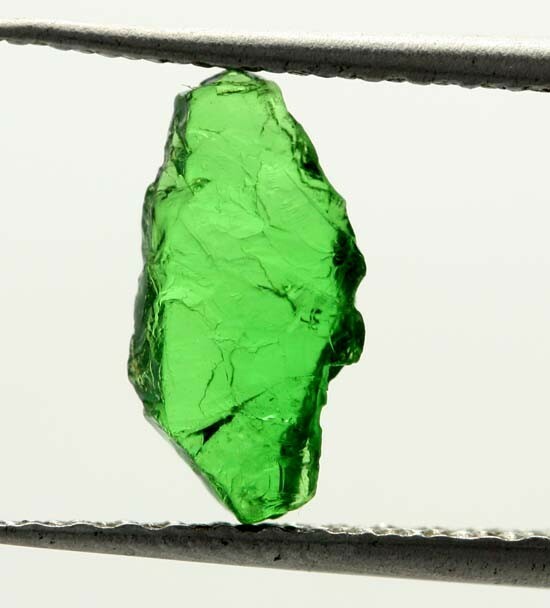 In 1967, British gem prospector and geologist Dr. Campbell R. Bridges discovered a deposit of green grossular in the mountains of north-eastTanzania in a place called Lemshuko, 15 km away from Komolo, the first village. 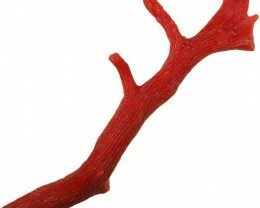 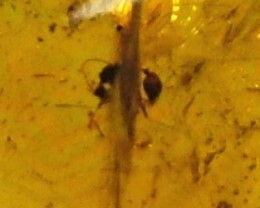 The specimens he found were of very intense color and of high transparency. 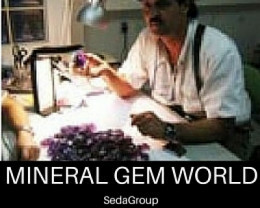 The find interested the gem trade, and attempts were made to export the stones, but the Tanzanian government did not provide permits. 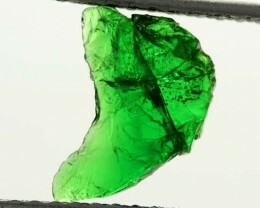 Believing that the deposit was a part of a larger geological structure extending possibly into Kenya, Bridges began prospecting in that nation. 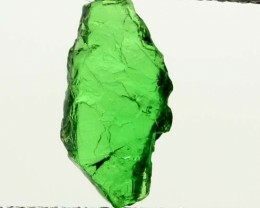 He was successful a second time in 1971, when he found the mineral variety there, and was granted a permit to mine the deposit. 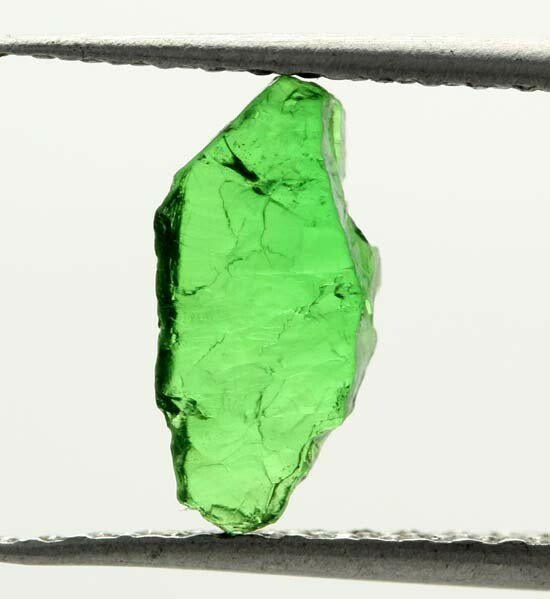 The gemstone was only known to mineral specialists until 1974, when Tiffany and Co launched a marketing campaign which brought broader recognition of the stone.